dal 9 marzo fino al 31 ottobre. Dopo la grande affluenza di pubblico italiano e straniero, l’Opera della Metropolitana ha promosso anche per l’anno in corso, l’apertura straordinaria della “Porta del Cielo”, integrando alle classiche regole di prenotazione e visita guidata, nuove modalità di accesso. Du 9 Mars au 31 Octobre, l’Opera della Metropolitana a sponsorisé pour l’année courante l’ouverture extraordinaire de la “porte du Ciel” donnant lieu à la possibilité de réservations normales, visites guidées et d’autres modalités d’accès. A combined ticket that allows you to access to all the museums of the complex of the Cathedral of Siena and to save more than 50% on the total amount of the single tickets. Valid for three days from the day of purchase Opa All Inclusive Pass costs € 12.00 from March 1 to October 31 and € 8.00 from 1 November to 28 February and is the best way to ensure you the excitement of a journey through the masterpieces of Italian art. Device Tablet 8 “touch screen, HD resolution, intuitive interface with interactive map. Three routes to choose between Cathedral – Museum of the Opera – Opa Pass all inclusive. An aesthetic revolution from 40 to 60 minutes of video with more than 500 image to high resolution. Reconstruction of three-dimensional environments have been lost and explanation of each work. As the Compostelana and the Testimonium certify that one has walked up to Santiago and Rome, so the Charta Peregrini Senensis certify the accomplishment of the pilgrimage to Siena: is the only official document that proves to have meditated, step by step, in the footsteps of the Siena saints and places associated with Marian devotion. Ask for information at the time of your booking or at the ticket office. A ticket reserved for families up to 5 people, both adults and children, with only € 25,00 (instead of 35) will have access to the Opera and the Museum Panorama from Facciatone and € 15.00 (instead of 20) to visit the Cathedral and the Piccolomini Library (during the unveiling floor ticket Duomo Families will cost € 25.00). The museum complex of the Cathedral of Siena also offers services dedicated to families like the nursery room for the toilet of babies corner dedicated to children in every bookshop and the OPA KIDS Animal Stickers, a fun and educational tour into the complex. Discover or re-discover some of the most important masterpieces of the italian art put in the siennese background and exposed in the rooms of the Crypt under the Duomo. With only 12,00 euros for Opa Si Pass all inclusive or 8,00 euros just for the single entrance to the Crypt and the temporary exhibition, you will get the opportunity to join the “dialogue” between the masterpiece and the siennese background. An original gift, a special thought to ask who you want to impress. A € 15 open voucher valid for one year that allows access to all sites of the museum complex of the Cathedral of Siena. You can purchase it directly at the ticket office or through our call center. In the course of researching the origins of the place name Gaiole in Chianti this week (more on that later), I came across a wonderful 1833 survey of the village in the Dizionario Geografico, Fisico, Storico della Toscana (Geographic, Physical, and Historical Dictionary of Tuscany) by Emanuele Repetti, one of the most renowned Tuscan historians of his era. The vibrant community, writes Repetti, was centered around an important market. Already by that time, its hills also produced “exquisite wines and brilliant silk,” he writes. 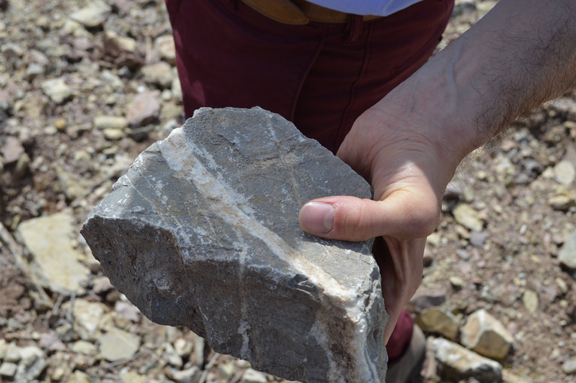 In the photo above, you can see a piece of alberese, which is so hard that it rarely breaks into pieces smaller than the one in the image. In the photo below, you can see the crumbly galestro. 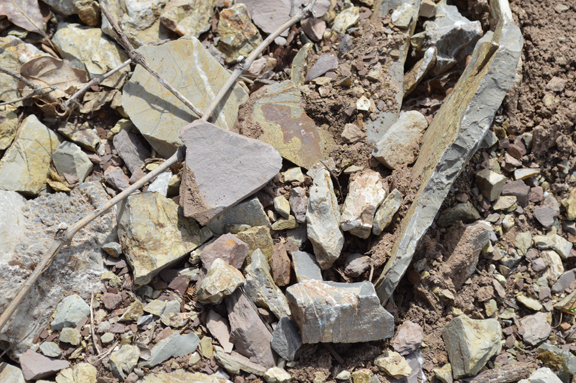 Because of the presence of these types of rocks, the subsoil in Gaiole is nutrient poor, which makes it ideal for the cultivation of grapes for fine wine (because the vines must work harder to produce their berries and as a result, the fruit is richer). They also create natural drainage in the soil, which forces the vines to work harder to find the water table (again, producing richer fruit). -Passeggiata fino a Vertine passando per l’antica Pieve di San Piero in Avenano e attraversando vigne e boschi con cenni storici a cura di un esperto di storia locale. – Arrivo a Vertine visita al borgo e cenni storici. Si consiglia munirsi di torcia elettrica. 6.15/20p.m. walking towards Vertine ,passing through vineyards and woods and stopping in “San Piero in Avenano Pieve”. During the walk an expert in local history will accompany the group providing brief references to the history of the place.